The treatment claims not to harm any fish, plants or filter media and can be used in tropical, cold water and marine fish tanks. When using the treatment be sure to leave biological filters running but turn off any UV sterilisers and ozonisers and remove any carbon or zeolite from your filtration system. 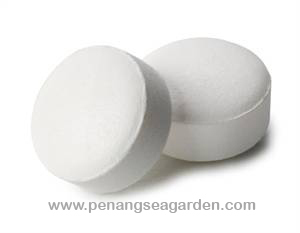 Coming in the form of tablets, it is advisable to dissolve the required dosage in small amount of aquarium water and then pour in to the aquarium. This can occasionally cause a small amount of foaming to appear however this is normal and harmless and will soon subside. So 1 tablet of Octozin by Waterlife will treat 22.5 litres of water and it should be used on days 1, 2 and 3 and when treating for marine white spot the S.G. should be decreased to 1.017 for 2-3 weeks after usage. The main active ingredient of Octozin is dimetridazole and contains 0.085g per gram. I have used this treatment for curing Malawi bloat and Tropheus bloat and I used a 5x dosage for this. 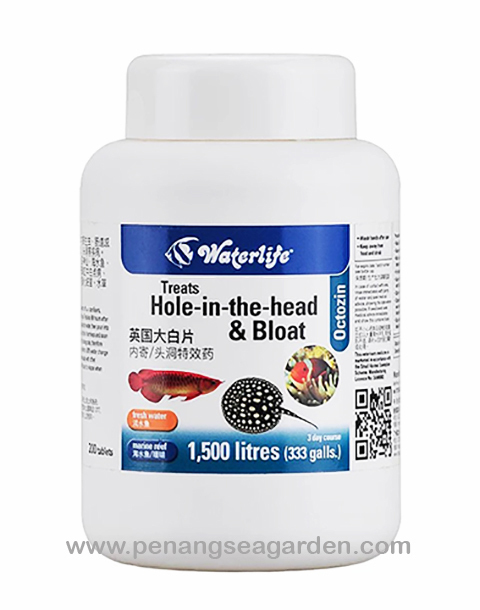 It is in no way advisable and not the responsibility of Tropical Fish Site the dosage you use of this treatment for your tropical fish. This method worked for me and my requirements at the time. So for this reason I can’t recommend using this treatment enough and certainly would recommend having some to hand if you keep Malawi or Tanganyika cichlids.